Here at Digilent we love celebrating unconventional holidays and would like to express our excitement about the upcoming Pi Day! This year we’ve decided to celebrate with our Pmod HAT Adapter in a Raspberry Pi demo walkthrough during a special episode of Digilent LIVE on Tuesday, March 13th at 10:00am PST. Hosted on the Digilent Instagram, this episode of Digilent LIVE will cover the free Python libraries and demo tutorials created by DesignSpark to support your Pmod HAT Adapter development projects. After reviewing the basic resources and setup for our Raspberry Pi 2, we will lead viewers through a mini demo walkthrough featuring the Pmod OLEDrgb and Pmod HB3 while answering viewer questions in real time. 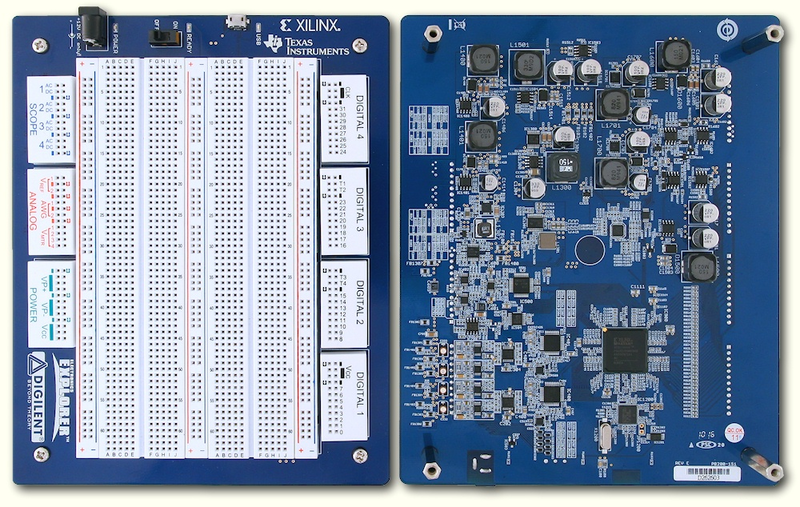 Viewers are welcome to follow along from home during this special demo with resources to get you started with setting up your hardware outlined below. 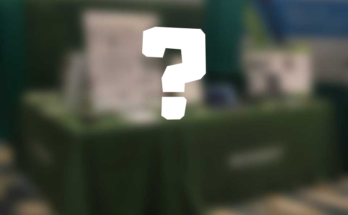 Those who attend our Digilent LIVE will also be the first to hear about our special Pi Day promotion, which will be available to all U.S. customers for one day only (March 14th, 2018) on the Digilent Store. We hope to see you soon on this week’s Digilent LIVE and wish you a Happy Pi Day! If you are brand new to Raspberry Pi, or searching for project inspiration while transitioning from a previous Debian Version (i.e. Jessie or Wheezy), the DesignSpark.Pmod examples for the Pmod HAT Adapter provide a simple way to dip your toes into hobbyist projects with no fear of insufficient support resources. When starting from scratch with a new 8GB MicroSD, look no further than the Raspberry Pi website for many (if not all) of the resources needed to support your beginning Raspberry Pi hardware and software setup. Clicking on the Help tab will quickly provide a handful of important resources you might need to get up and running, including a list of supporting materials (needed before using your Raspberry Pi), a guide to downloading and setting up your Raspberry Pi software, and more! 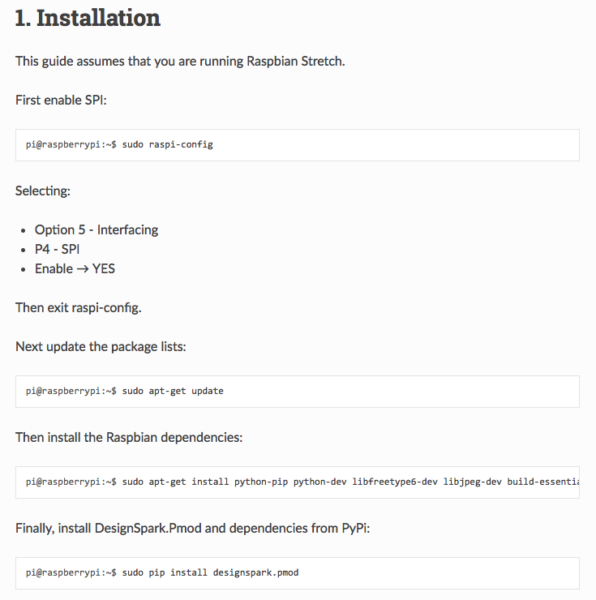 Follow the Raspberry Pi Software Guide to setup your hardware with the current Debian Version (also used in DesignSpark.Pmod tutorial), Raspbian Stretch. Gather the supporting materials listed in the Raspberry Pi Hardware Guide and connect as illustrated. Turn on Raspberry Pi and confirm that hardware boots up, checking Ethernet connection by opening internet application (if you desire to use alternate internet connections check out this helpful guide). 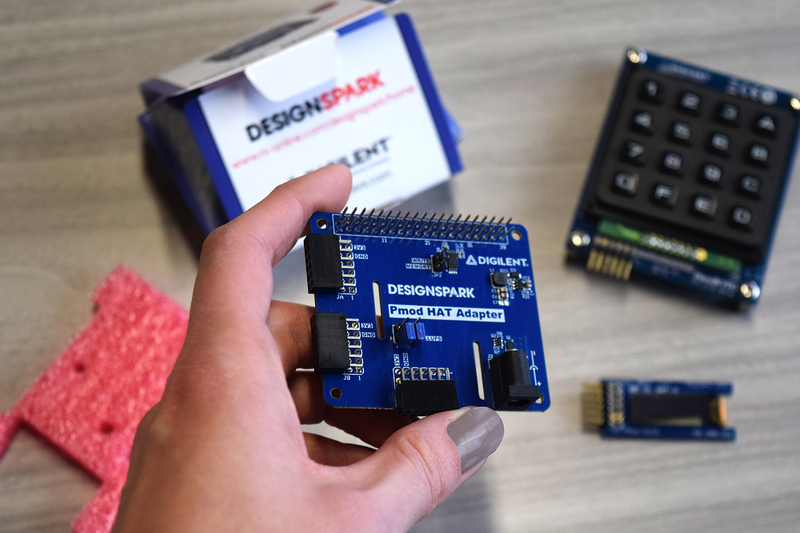 Once your Raspberry Pi is set up, you can move on to “Installing the DesignSpark.Pmod Libraries” below or join us during Digilent LIVE to walk through the setup with us! 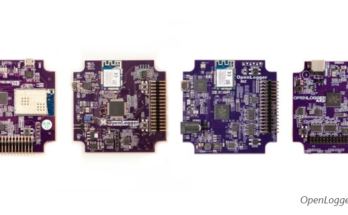 After installing your Pmod dependencies you can choose from the provided list of Pmods and follow the examples for your selected Pmod to support a variety of project applications, such as adding motors (up to 12V) with the Pmod HB3, enabling audio processing capabilities with the Pmod MIC3, displaying text or images with the Pmod OLEDrgb, and much more! You can also browse basic and advanced examples for inspiration then look through the provided API for the available function calls to customize your projects. Finally, tune in to our upcoming Digilent LIVE on March 13th, 2018 at 10:00am PST to join us as we walk through the installation and use of the Pmod HB3 and Pmod OLEDrgb, answering any project questions you might have along the way. To celebrate Pi Day we will also be offering a special $3.14 shipping rate on all purchases under $500 for U.S. customers (includes Alaska and Hawaii)! Visit the Digilent Store to browse the one day only Pi Day category and save on shipping this March 14th, 2018.